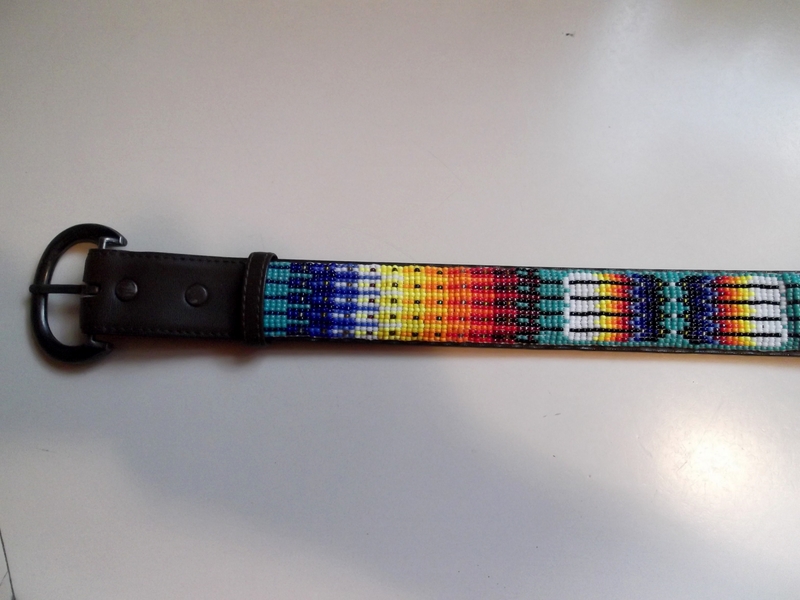 This Lakota made beaded belt features many eagle feathers in its design and has a brass buckle. It is dark brown leather, 1 1/4″ wide and can be worn between a 29″ to 33″ waist. It is slightly used.